In the present transcribed, edited and annotated talk, social scientists Ana Rosa Ruiz Fernández, David Arias Hidalgo, and Jorge Solano Brenes present us a discussion of their project with women in Talamanca. 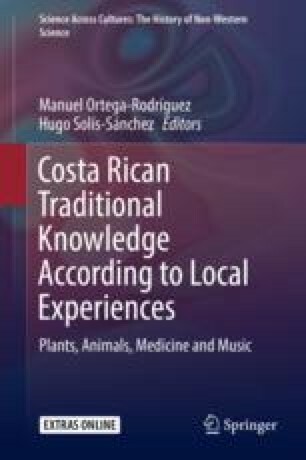 They explain the social implications of a matrilineal system in the Bribri and Cabécar cultures, and the ways in which modernity is affecting traditional orderings. They also offer us, in all candidness, an invaluable cautionary tale emanating from their endeavors, showing us how the Western concept of social assistance is in need of urgent revision. A. R. Ruiz Fernández, D. Arias Hidalgo and J. Solano Brenes are the authors of the original talk. M. Ortega-Rodríguez and H. Solís-Sánchez were responsible for transcribing, translating, editing and annotating the talk, including the vignettes; their comments appear within square brackets.